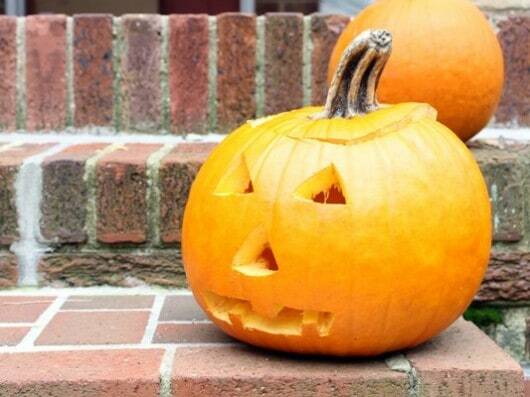 Oh, boy… oh, jeeper’s creepers… it’s that time of year again! A night this way comes, when all of us let out our inner ghouls and the visions of Jack-o’-lanterns and ghosts dance in our heads! That’s right, folks, the big Hal-O’-ween is here, and the Pumpkin King is working overtime this year to give us a hand in helping you celebrate All Hallows Eve with the Fineline Settings fear… oh, we mean flair! Don’t worry, boys and ghouls, we love giving treats and giving YOU and few more tricks; and we have the perfect weekly picks to help your spooky soiree leave your guests screaming with delight and help the candy crusaders make the most out of October 31st! Obviously, there is one invaluable item that all veteran Halloweenies have in their arsenal: the candy bowl! We have a couple of options that could add a spooky twist to your Halloween bash and keep the trick-or-treaters at bay! First and foremost, our Super Bowl 320 ounce Serving Bowl is the perfect companion to help you combat the monsters waiting for you on your doorstep! Maybe you’ve conceived the evil plot to host a haunting house party? If you’re looking for the perfect serving selection, try our 10Qt Punch Bowl or Trifle Bowl from the Platter Pleasers collection; your sweet treats will certainly show up in style! Don’t be a zombie by the end of the night! Keep your fun and laughs going without the hours of clean up after your monster mash is done. 'How', you may ask? Plastic, of course! Disposability is what’s showing up on the Ouija Board this year! All of our products are totally reusable or recyclable; pack them away for next year or toss them away without fear! Your ghoulish get-together isn’t complete without our usual haunts of awesome Halloween recipe ideas to give your next spook-tacular a scary-awesome flair! If you’re not too chicken, take a look below at what we’ve dug up this year! Christi is a mom whose love is as warm as her oven; she expresses her passion of baking through her blog: Love From The Oven! She wants her kiddies Halloween to be memorable and delicious; so she has comprised an array of fun, kid-friendly treats that will have your tricksters screaming your praises this year! Take a look at her adorably spooky Oreo Halloween Pops that are a fun and kid-friendly project for you and your little ones! Cookin’ Canuck is a fabulous fitness and food blog created by Dara! This mistress of munchies has brought the concept of healthy to what is normally our most unhealthy holiday of the year! She’s taking the “post” out of process and the “artificial” out of flavoring as she shares a recipe she found from a fellow blogger called: Halloween Mummy Cookies! These adorable creations are the perfect project for you and your monsters; so go get messy! 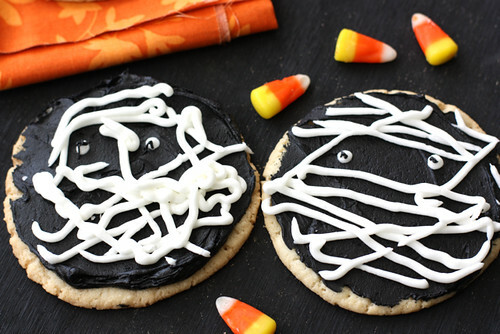 For those of our witches and warlocks who are short on time this year, but want to make something spooky and spectacular, our friend, Meaghan, has just the right recipe for you on her blog: the decorated cookie! Her Oreo Cakester Bat and Spider Pops are screamingly adorable, and frightfully easy to make! Take a peak and these will soon become a favorite you’ll whip out every year! We know that you don’t need much help to make your holidays a hit; but it always helps to have Fineline Settings in your back pocket… or the basement. Whichever works as long as you share some of your candy! Let us know some of your favorite Halloween ideas and how you’ve used our products to help make your bash a screaming success! Happy Halloween, everyone! Be safe and have a great night!